Jimmy Morcos is an Australian lawyer and a Partner of Sabelberg Morcos Lawyers since 2009. This renowned Melbourne-based lawyer has acted on behalf of many members of multicultural communities based in Australia in complex legal and immigration matters. Through his work, Mr. Morcos has also travelled all around the world to represent multinational companies. He has also worked on Australian Government task forces in Christmas Island. Mr. Morcos currently represents a wide range of international companies, including many in China, Africa, Middle East and beyond. He has been featured in a wide range of Australian print and television media reports in reference to highly unique immigration matters. In 2011, he successfully procured a tender as an IAAAS provider with the Department of Immigration & Citizenship, along with his team at Sabelberg Morcos Lawyers and since then his firm has won the immigration award for three consecutive years (in 2013, 2014 and 2015). 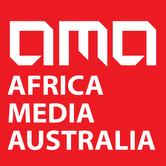 In this video interview with AMA, Mr Morcos talks about his firm and his work with African communities and other migrant communities in Australia. Coming from a migration background himself, Mr Morcos understands the challenges that many members of culturally and linguistically diverse communities face in Australia and he takes pride in helping them with passion and exceptional professionalism. Mr Morcos is also actively involved in commercial matters and often finds himself in the middle of business negotiations and deals between Australia, China and Africa. He says that he sees great business opportunities arising from Africa, as an emerging global economic power and an increasingly attractive business and investment destination for many Australian, Asian and other international investors. Throughout the interview, Jimmy calls on members of the African community in general, especially entrepreneurs and professionals to rise up and waive the African flag to tell Australian business and investment circles about the great economic opportunities coming out of Africa.